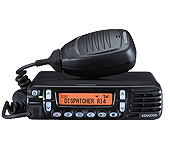 Kenwood's groundbreaking NEXEDGE® NX-900 very narrow band digital technology has expanded to include 800 MHz RF infrastructure and portable and mobile subscriber radios. NEXEDGE® technology now covers 150 MHz, 450 MHz and 800 MHz to offer scalable digital communications systems to users in a wide range of key applications from Public Safety to Enterprise, Utilities, Transportation, and Petrochemical. NEXEDGE&REG; 800 MHz digital operating mode utilizes the NXDN digital air interface for conventional and trunking operation plus analog mode in both conventional and trunking (LTR).